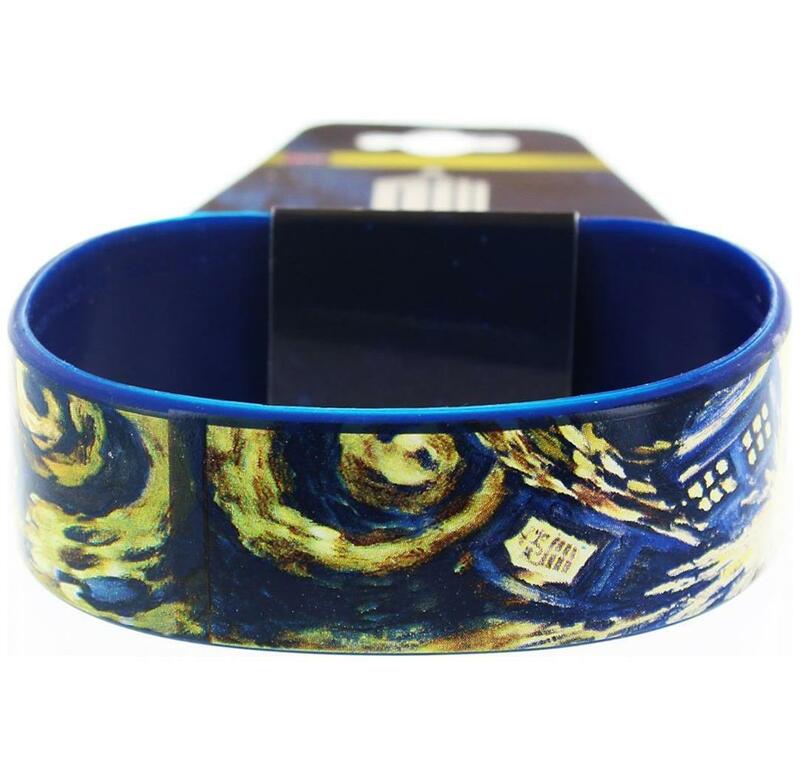 This officially licensed Doctor Who Rubber Wristband is the perfect accessory for any Whovian! It features an exploding TARDIS style like a Van Gogh painting. Get the other wristbands and see how many of your favorite Doctor Who slogans and motifs you can collect! 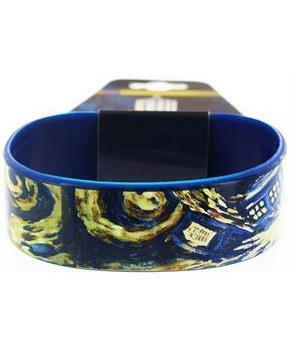 Wristband features an exploding TARDIS style like a Van Gogh painting.